발행처: U.S. Dept. of Agriculture, Economic Research Service : [Supt. of Docs., U.S. G.P.O. 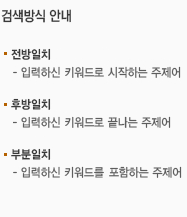 마이크로자료3. Common beliefs about the rural elderly : what do national data tell us? 발행처: U.S. Dept. of Health and Human Services, Public Health Service, Centers for Disease Control, National Center for Health Statistics : Washington, DC For sale by the U.S. G.P.O., Supt. of Docs.